Michael concentrates his practice in the areas of corporate law, real estate law, tax and estate planning, asset protection planning, tax litigation and audit defense. Michael has been practicing law for over 30 years and has tried cases in state and federal courts as well as the United States Tax Court and has argued before both state and federal appellate courts. 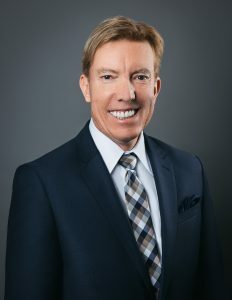 Michael’s extensive professional career ranges from preparing estate plans for families seeking to protect their assets for the next generation to tax planning for corporate mergers and acquisitions. He has represented many emerging growth companies as well as venture capital groups and creative equity platforms. He lectures around the country on audit mitigation and tax law and testifies as an expert witness in legal and accounting malpractice cases. In addition to representing taxpayers in controversies before the Internal Revenue Service and the United States Tax Court, he has counseled families and corporations on tax matters and asset protection strategies. Michael is also a CCH certified audit defense professional and has extensive trial experience, on behalf of individuals and corporations. Michael graduated with a double major in accounting and finance from Miami University in Oxford, Ohio and attended law school at Valparaiso University in Indiana, where he graduated in the top of his class. He also received a Concannon Certificate in International Law from Notre Dame University in London, England, and then went on to receive a master’s degree in taxation from the John Marshall Law School in Chicago, graduating with honors. Michael has published numerous articles and has been quoted in the Wall Street Journal. Michael has also been featured in Forbes Magazine and was selected for inclusion in the Top Lawyers in Illinois in 2013 and the Top Attorneys of North America 2017 edition of The Who’s Who Directories. He is a member of the National Association of Tax Professionals. Outside of his day to day work as an attorney, Michael has twice been elected to the Board of Education for district 304. He is on the Board of Education and active with many charities and private foundations.